My brother picked up this su-weet mug for me in Valparaiso, Chile when he went a few months ago. I think I’d like to meet the person who made this splendid design! 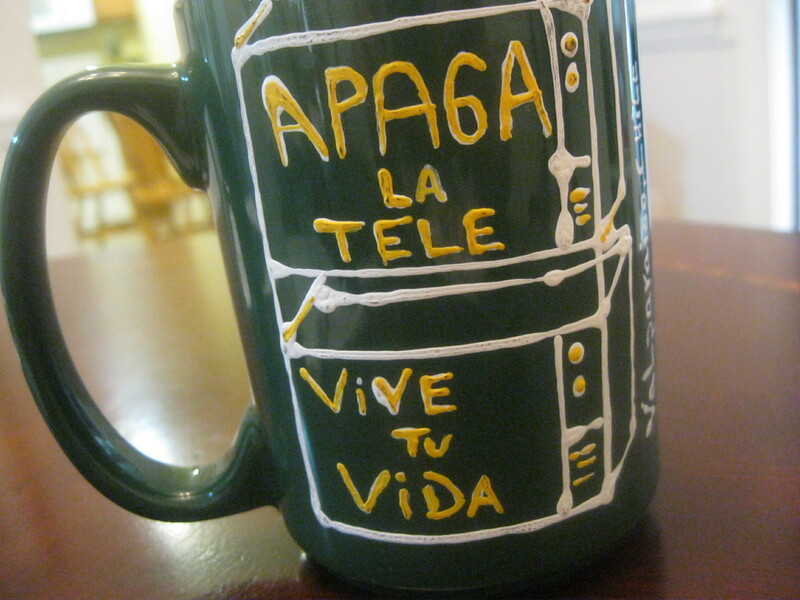 Turn off the TV – Live Your Life. And you can check out Valparaiso’s sanctioned graffiti here. This entry was posted on Saturday, May 14th, 2011 at 9:20 PM	and posted in Uncategorized. You can follow any responses to this entry through the RSS 2.0 feed.